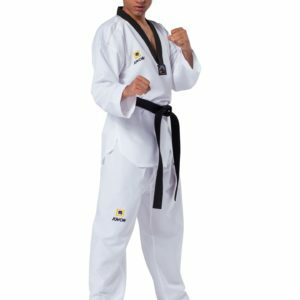 This lightweight, comfortable Taekwondo suit is the ideal Dobok for quality-conscious beginners and advanced. 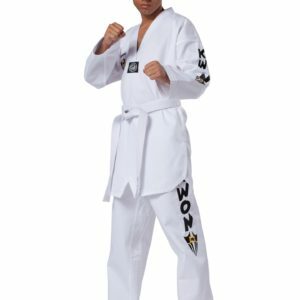 This TKD suit has been part of KWON’s range for decades, proven thousands of times over and almost indestructible. The cut of the jacket is long and wide. The wide, long pants runs down to close. 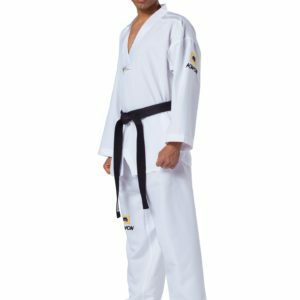 The soft material with a smooth fabric structure is a blend of 65% polyester and 35% cotton. KWON embroidery on the left upper arm and lower left leg. 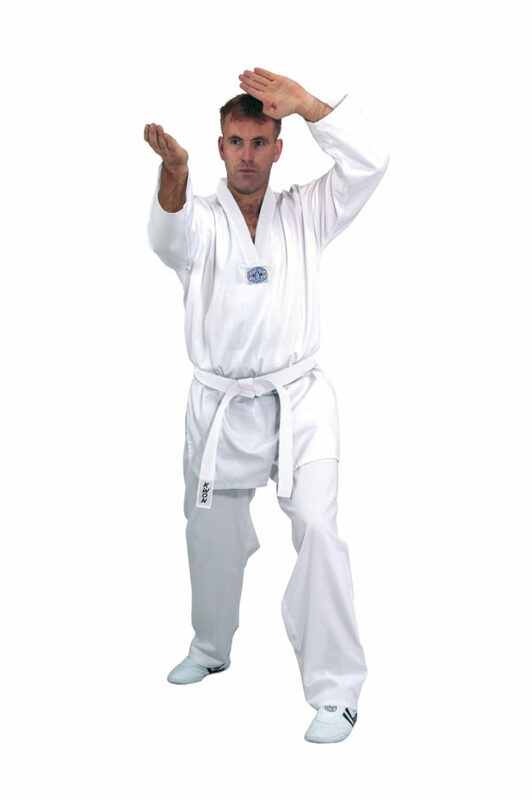 Hadan Plus suits are recognizable by the classic white / blue “Taekwondo Approved” chest logo!